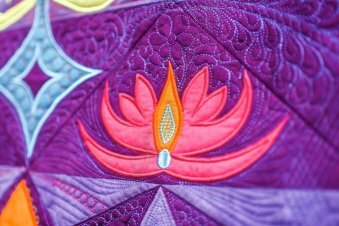 Join Venitta McCall, Hoopsisters Certified Teacher, for this STUNNING Embroidered Quilt Block of the Month program! 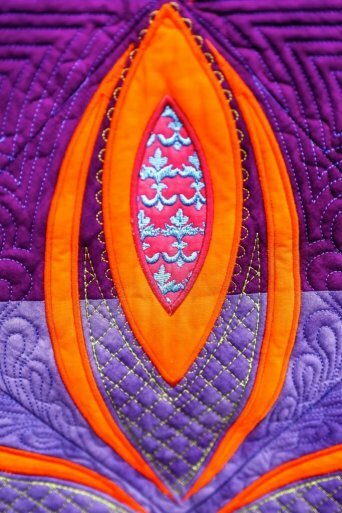 You will learn how to embroider quilt blocks the HoopSister way, work with the popular HoopSister battlizer, experience how to quilt with an embroidery machine both the front AND the back at the same time, how to work with wash-away thread, and how to assemble the quilt at the end. Fleur De Lis is divided into sections. Designs are given out monthly in our meetings. Bring a USB stick to class to receive each month’s designs and directions. 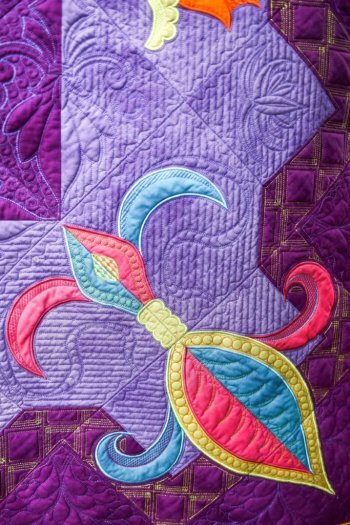 If you have never tried a HoopSisters Block of the Month, this program is designed to help you master your embroidery machine, become more familiar with embroidery features and create an incredible wall hanging or beautiful bed quilt. This piece of art will be treasured for years. A family heirloom to pass down to future generations. Need more information before committing to the class? It's not too late to sign up! We will let you jump in no matter the month, and of course help you to get caught up! Please let us know if you're interested in monitoring a class before you commit. call 804-755-4499 or email Lucy, info@bluecrabquiltco.com. Just LOOK at this gorgeous embroidery!!! Class #3, Friday, April 26th - 10:30am - 4pm. Full Day of Embroidery, all attendees required to bring their machines. Class #6 - To Be Determined. Will be take place in July or August. You need an embroidery machine that can make at least a 5" square. 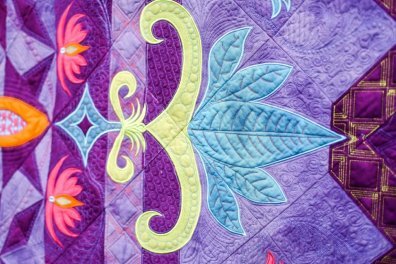 Size of quilt depends on size of blocks made. 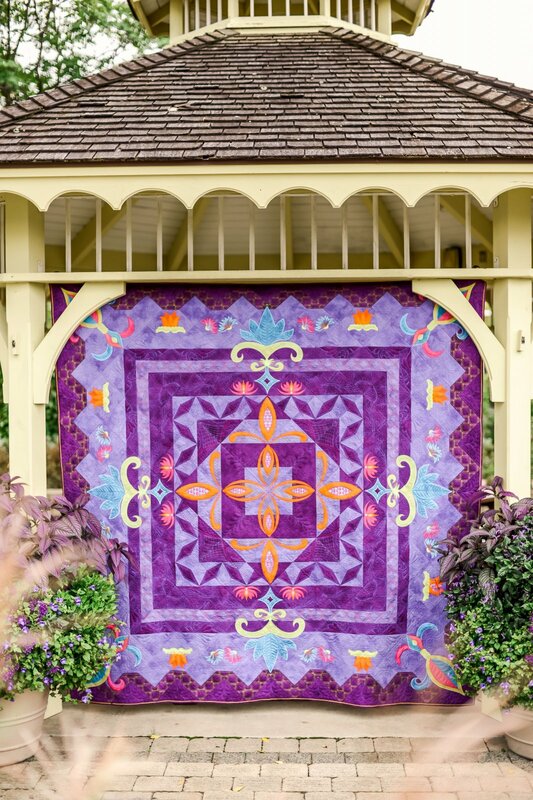 You can choose to make your quilt with a 5", 6", 7", 8" or 9" block. Class fee includes all of the design files, tutorial videos, instructions, and 6 days instruction to make it all come together! All Fabric and materials sold separately.